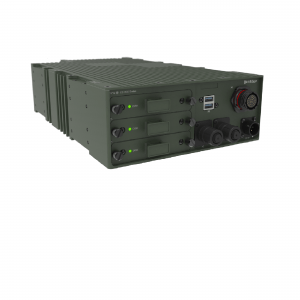 Release CS1100 Series - MilDef, global supplier of rugged military electronics. MilDef continues to expand the 19″/2® product family with a powerful Xeon Server. We have just released a compact 16 core Xeon server fully compliant with the key military standards. The CS1100 series provides a 16 core Xeon server in the 19”/2 form factor. It comes with a 3 disk hardware RAID, 128GB RAM and a wide range of interfaces and options. It is optimized for low size, weight and power (SWaP) to meet industry requirements without sacrificing reliability, ruggedness or performance.